I think the "credentials" issue here is a legitimate one. Part of it turns on the term "historian of religions," which IS used (as Aslan uses it) as a generic term for "comparative religions." But then there is also the issue of what makes one an expert in New Testament/Christian origins. This is a highly specialized field, and entry into it is usually conferred by a PhD in it. I have a PhD in Religious Studies. I would never claim it authorizes me to write as an expert on the New Testament or early Christianity. Then again, Aslan did study the New Testament as an undergraduate and as a master's student at Harvard, where he learned New Testament Greek. Since i was Reza’s thesis adviser at the Univ of California-Santa Barbara, I can testify that he is a religious studies scholar. (I am a sociologist of religion with a position in sociology and an affiliation with religious studies). Though Reza’s PhD is in sociology most of his graduate course work at UCSB was in the history of religion in the dept of religious studies. Though none of his 4 degrees are in history as such, he is a “historian of religion” in the way that that term is used at the Univ of Chicago to cover the field of comparative religion; and his theology degree at Harvard covered Bible and Church history, and required him to master New Testament Greek. So in short, he is who he says he is. I can agree that Aslan definitely took some liberties in expounding upon his credentials; however, does this make him less credible? I must say that I have not even so much as cracked open his book, Zealot, but I’ll take it that his statement that he used footnotes to support his argument is true (to some point) rendering him credible at least to the point where he stands on the shoulders of others’ knowledge / work. I’ve always just been curious what it takes to be respected as a credible source. Dr. Keith was rightly praised for his book Jesus’ Literacy, but what if I was to have written that book, word for word? I just have a B.A. in Business Administration from Lincoln Christian University, so I do have a (very) little bit of an educational background in the Bible and studied my last semester right under Dr. Keith looking at Dr. Allison’s Constructing Jesus and other books of the like. To this day, I still follow this blog and the blogs of others and read books in this field as a “hobby” that I take very seriously. So if I write a book someday, do all the due diligence to that work and never have a formal education beyond my B.A. degree from LCU, does that make me less respected as a credible source than a person with a PhD? I think that you have misunderstood the purpose of the Ph.D. It is not a passport to respectability. Lots of folks have these degrees. Respectability is earned over decades of sweat and failure and sleepless nights. And it doesn't get any easier after you've got the fancy letters after your name. Very few people on the planet have the expertise to write a book like Jesus' Literacy. And to be clear, Chris Keith holds the rank of full professor. He isn't a junior anything. Not even with "scare quotes". My point here is that should credibility be denied to Aslan despite his stretched credentials? And again, I haven't read the book, but it sounds like he didn't approach this half-heartedly. We may disagree with the contents of what he writes, but does he build a credible argument amongst the contents of his book that his credentials fade into the background as a critical factor in his credibility? Also, my apologies to Dr. Keith if I seemed belittling in calling him a junior scholar. I may be wrong, but I believe he referred to himself as that in a comparison between himself and the "senior scholar" that wrote the atrocious review of his book. In any case, I hold the utmost respect for Dr. Keith and apologize again. It becomes more problematic when the author in question begins to self-promote (as Aslan has) without care for collegial deference. We all must acknowledge our deficits. Prothero's words (above) demonstrate this kind of care and Aslan's have not. Again, this is no reason to dismiss him as a liar. He actually does not have footnotes. He has bibliographical comments on each chapter which list his agreements and disagreements with various scholarly literature. They are quite limited. Regardless of Aslan's credentials, this is not a very good book at all. In light of his interview with Green and another person that commented on your Amazon review, I'm curious if you'd say his Muslim background was apparent in this book or not. I honestly don't plan on reading this book ever, but I've found the discussions revolving around his Muslim background fascinating. His Muslim background is briefly mentioned in the preface, but it doesn't figure in at all in the book, really. With regard to his Muslim background, that is a bit of a puzzle. In a recent NPR issue he said he didn't consider himself to be Christian without any reference to being Muslim. This is pure conjecture on my part, but I suspect he plays the Muslim card for Muslim audiences and that his claim to have reverted to Islam should be taken with a grain of salt. His goal it to self promote and sell books that doesn't work so well in the Muslim world (where I currently live) if you are an apostate. He's been doing a lot of promotion in this neck of the woods lately and always gets favorable press. Thanks for the link. Helpful review. "I have now read the book and I can say (without question) that Zealot is not written by an author conversant with the field of NT studies or Second Temple Judaism more generally. More on this point in the coming days." Looking forward to your review. Do you think he misrepresented himself on that score in the Fox interview, not his credentials, but his facility with the relevant scholarship? A viable historical solution to the “Jesus Puzzle” has taken place within the Guild of NT studies, the only discipline capable, not only of identifying our primary Scriptural source of apostolic witness to Jesus, but of appropriately interpreting this source as well. 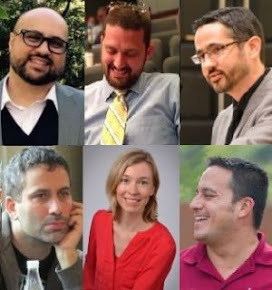 However, “few are they who find it” even among well-known NT scholars. Finding it, this historical solution, is “a task to which specialized knowledge in the areas of philology, form and redaction criticism, literary criticism, history of religions, and New Testament theology necessarily applies.” (Hans Dieter Betz). 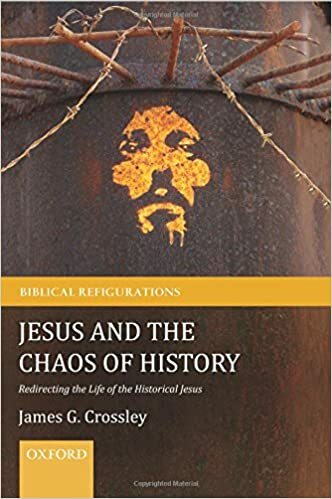 “Over the last two centuries, there gradually emerged a new access to Jesus, made available through objective historical research.” (James M. Robinson). Under the force of present historical methods and knowledge this new access was brought to a highly creditable understanding during the 1980’s. Schubert Ogden: “We now know not only that none of the Old Testament writings is prophetic witness to Jesus, but also that none of the writings of the New Testament is apostolic witness as the early church itself understood apostolicity. The sufficient evidence for this point in the case of the New Testament writings is that all of them have been shown to depend on sources, written or oral, earlier than themselves, and hence not to be the original and originating witness that the early church mistook them to be in judging them to be apostolic. 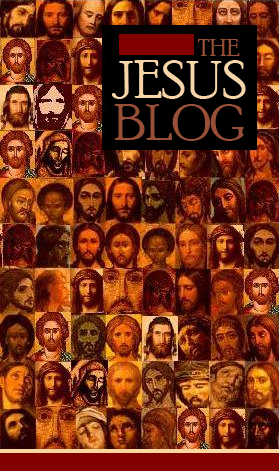 [“The sufficient evidence” without the agonizing mythical detail of what the writings of the NT does contain, which now supplies the grist for the blogsphere mythicists’ mill] - - the witness of the apostles is still rightly taken to be the real ‘Christian’ (Jesus tradition) norm, even if we today have to locate this norm, not In the writings of the New Testament but in the earliest stratum of witness accessible to us, given our own methods of historical analysis and reconstruction.” Betz identifies this earliest stratum to be the Sermon on the Mount (Matt. 5:3-7:27). “This source presents us with an early form – deriving from (the Jerusalem Jesus Movement, to date it around 50 CE) -- which had direct links to the teaching the historical Jesus and thus constituted an alternative to Gentile Christianity (hence to orthodox Christianity) as known above all from the letters of Paul and the Gospels, as well as the later writings of the New Testament. [All are written in the context of imaging the Christ of faith, not the man Jesus]. If the Sermon on the Mount represents a response to the teaching of Jesus critical of that of (Pauline) Gentile Christianity, then it serves unmistakably to underline the well-known fact of how little we know of Jesus and his teaching. The reasons for our lack of knowledge are of a hermeneutical (authorial intent) sort and cannot be overcome by an excess of good will (apologetics). The Gentile Christian authors of the Gospels transmitted to us only that part of the teaching of Jesus that they themselves understood, they handed on only that which they were able to translate into the thought categories of Gentile Christianity, and which they judged to be worthy of transmission. (More to the point they included no more than they thought sufficient to lend historical credence to their Pauline Christ of faith myth). - - from these texts his original teaching can neither be reconstructed nor abstracted in its entirety.” This calls for a new reconstruction of post-execution Jesus traditions. .
To what degree did Aslan stretch his credentials? His Ph.D is in the sociology of religion, with 2 additional degrees related directly to the study of religion (and an additional one in the study of literary fiction). Historian of Religion is a standard term for people who work in this field. his degree is just in "sociology" not "sociology of religion"